After generations of stagnant, old-hat teaching techniques, education is changing at a rapid rate. Since the late 90s, classrooms have been in an almost constant state of evolution, incorporating exciting new teaching methods and technologies from across the world in a bid to improve engagement for happier, more successful students. On the technology side of things, we’ve seen the classroom move from overhead projectors to data projectors hooked up to computers and from the whiteboard to the smart board. Of course, whilst some teachers have resisted the march of technology, the vast majority have adopted these new technologies. But if you’re outfitting a classroom for 2019, are smart boards really a technology you should be investing in? 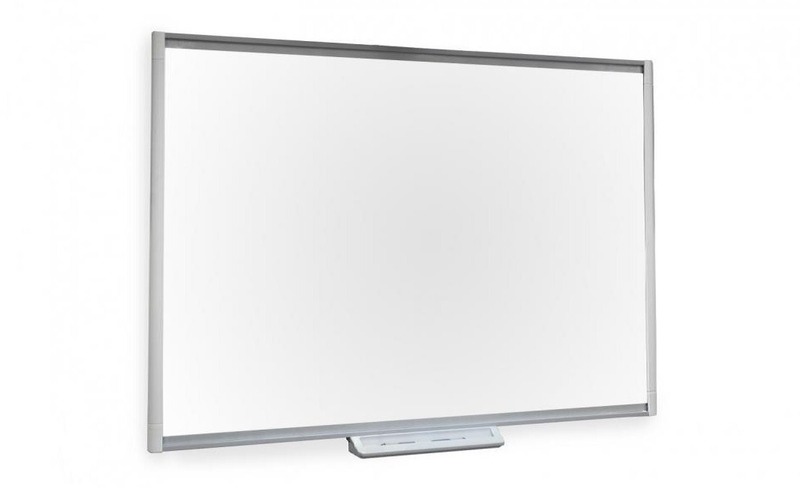 What could a product like the Smartboard M680 78″ Interactive Board bring to your classroom? Join us as we take a look at some of the key selling points. Research has found that students learn better when they’re doing more than just listening to what a teacher has to say. Interactivity has been found to be a huge influence on the effectiveness of a teacher. Hands-on interactivity like that offered by a smart board helps keeps students engaged and excited by the work that’s being posed by them. Teachers can invite students up to the board as a reward for good work or help demonstrate a point. Additionally, multi-pen support on the boards means that more than one student can use a board at the same time. The internet has long since matured beyond mere curiosity and, today, it’s where the best teaching resources on earth are. Smart boards unlock the door to using these resources in lessons, enabling teachers to interact with them in real time and continue to present in front of a classroom. It’s something that can’t be achieved through a projector alone. Smart boards? Saving you money? No, we aren’t mad. Although smart boards are an investment, they help educational establishments save money in the long term. Without the need for printed worksheets, you’ll save on paper and ink, as well as the electrical costs of constantly running a printer. One of the biggest benefits of smart boards is the way that they integrate with more than just PCs and laptops. Indeed, with a smart board, teachers are able to hook up almost any piece of educational technology they need to. Anything from video cameras, digital cameras, microscopes and visualisers can be hooked up to your smart board, making the process of sharing information with students easier than ever before. Of course, these are just a handful of the benefits that you can expect to see with a classroom outfitted with a smart board. To learn more, get in touch with us today!